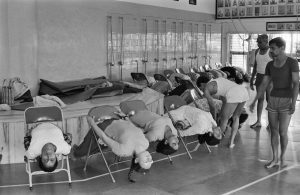 With so much yoga information out in the world we have put together some simple useful articles, links and information in regards to the practice and methodology of Iyengar yoga. We will be updating regularly. 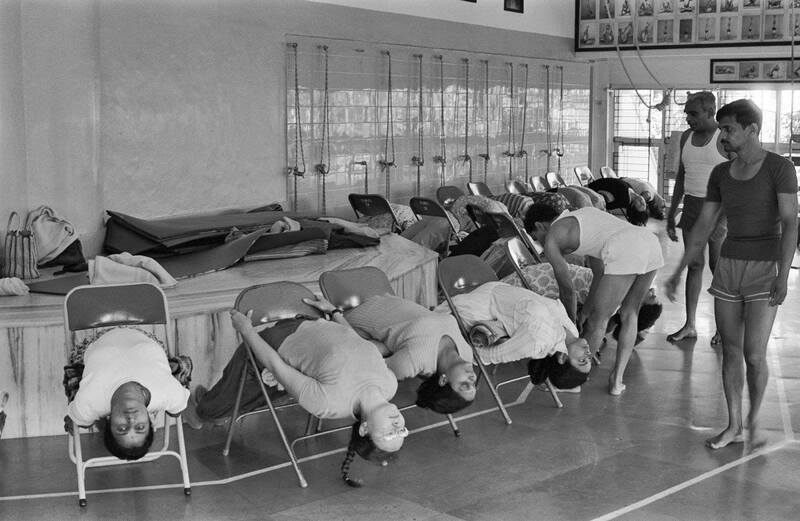 Teaching Therepeutic Yoga Recent interview with Stephanie Quirk, Courtesy of “Dipika” vol.49 (2017), Journal of the Iyengar Yoga Institute, London Maida Vale. 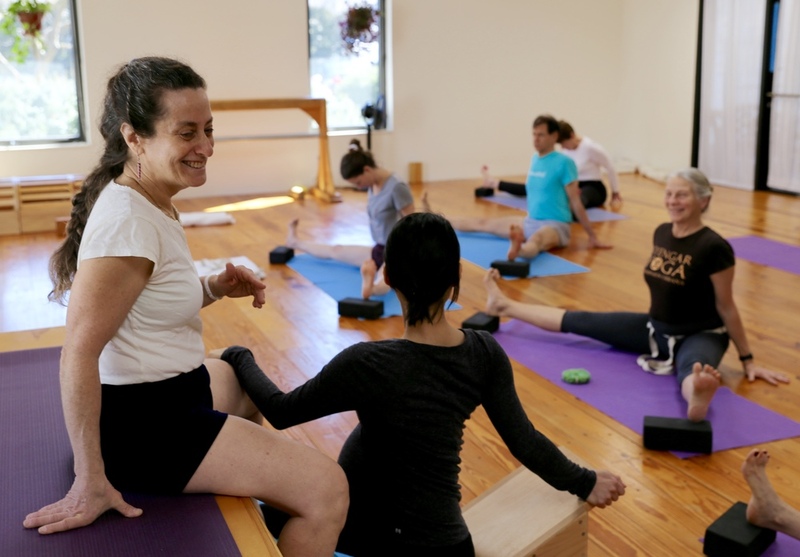 Yamas & Niyamas: Training Principles not Commandments by Stephanie Quirk, Courtesy of “Samachar” Spring/Summer 2018, The Iyengar Yoga National Association of the US. 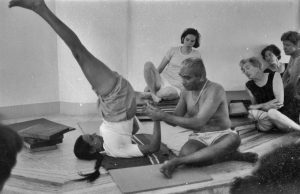 An Interview with BKS Iyengar on Backbends A transcribed interview with BKS Iyengar in 1991 from a Back Bends intensive. Menstruation PDF sequence download of menstruation series as taught by Geeta & BKS Iyengar. Emotional Stability A sequence that Guruji put together to develop emotional stability. Foundation Sequence A solid foundation sequence with a brief explanation of sanskrit names from Balmain Iyengar Yoga Studio. 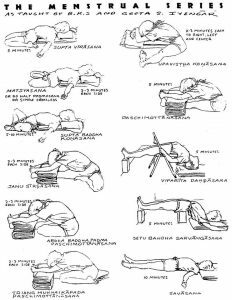 Level Four Home Practice Series of Home Practice Sheets from the Iyengar Yoga Institute of New York. 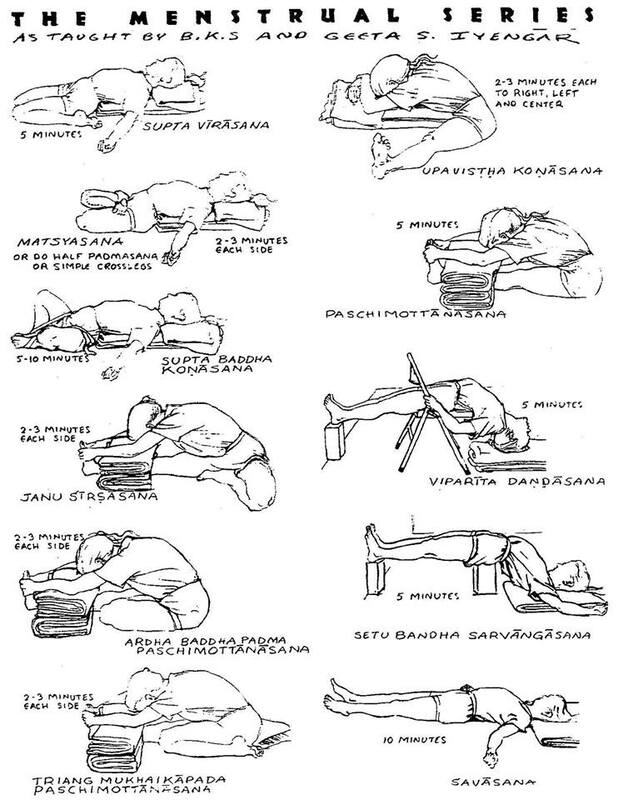 Men’s Restorative Sequence designed by Simon. Stephanie Quirk Official website of Stephanie Quirk, includes upcoming workshop schedule. 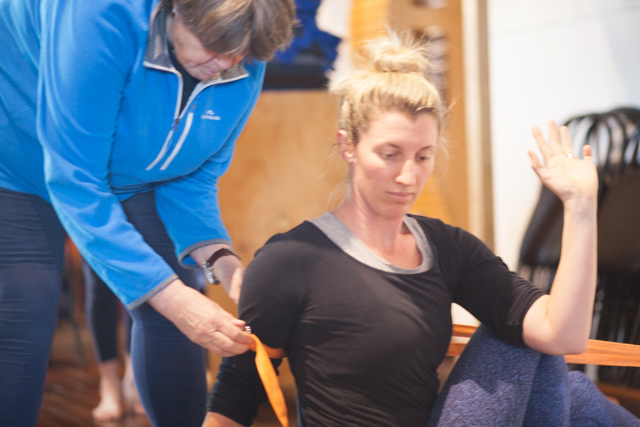 Iyoga Props Australian Supplier of Iyengar Yoga props & equipment. Black and White Photos from RIMYI in the early ’70s courtesy of Julia Pedersen.